At least one of the cruciate ligaments is sacrificed in most total knee arthroplasties. This can lead to important functional changes in the joint. In severe cases, instability causes early failure and revision of the implant. In a less extreme form, the cruciate deficiency leads to abnormal kinematics, affecting activities of daily life and reducing functional capacity of the knee joint. Technological advances opened the potential for studying the in vivo characteristics of the replaced knee. Significant differences in kinematics between the normal and the replaced knee have been reported in the literature. 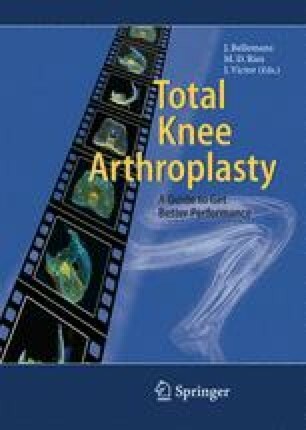 Many of these differences can be attributed to either anterior or posterior cruciate ligament deficiency following total knee arthroplasty.